Beginners Guide to Korean – Screenkicker! This weekend sees the release of ‘Stoker’ starring Nicole Kidman. It’s the first English language feature from South Korean director Chan-Wook Park, maker of modern classics such as Oldboy and Sympathy for Mr Vengeance. 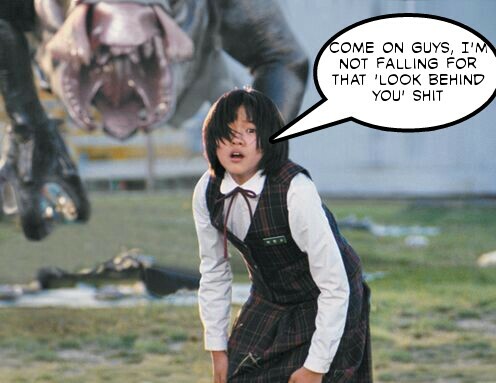 So to celebrate the Chan-man here is Screenkicker’s beginner’s guide to South Korean cinema. Prepare for madness, lots of blood, bad haircuts, and some very disfunctional families. Cham jal osyeossseubnida!!! The first film on the list from Chan-wook Park, Thirst is a strange and wonderful vampire movie. If you’re used to your vampire being twilighty, glittery, lovelorn arseholes then this might not be for you. The story asks the question, what happens to a believer of God when they turn into a Vampire? The main character is a priest who becomes a vampire and has to level all of his new urges with his faith. Its actually very topical right now with reports of priests struggling to control urges worse than trying to drink blood outside of communion. Don’t expect the usual vampire film and enjoy the mood Chan-wook creates. Can’t I just wait for the remake? I wouldn’t hold your breath, American society might not be ready for a film about an undead priest but you never know. Anyway its basically a Korean remake of Teenwolf with less basketball and more drinking blood from coma patients. A big monster movie Korean style plugging into the damage of America’s past involvements in Korea, The Host (not to be confused with the forthcoming Stephanie Meyer travesty) features one of the coolest monsters in movie history. Where other films in this genre tend to disappoint in terms of the actual creature (I’m looking at you through a shaky camera Cloverfield) The Host is beautifully designed and really feels like it’s actually there interacting with the other characters. Add to this the main story about a disfunctional family coming together to overcome massive odds and you have a film that makes you laugh, scream, and cry by the end of the running time. Not bad for a creature feature. No. There are currently no plans for an English language remake and that’s a good thing. The Host is just too plain weird for it to ever have a faithful remake. Where Cloverfield had annoying self obsessed New York wankers running from the terror, this movie has a single parent squid salesman, an arrow shooting auntie and a lay-about loser uncle taking on the beast. Its already been done, and surprisingly its really good. No, not really, its awful. Remember we said the Korean version was like a beautiful painting? Well The Uninvited (2009) is like a crayon drawing by a monkey having a seizure. It’s poorly made and tries to explain what exactly is going on in case you fall asleep and miss the middle. Which is something that is inevitable. Avoid. Old boy may be the most famous Korean movie there is, and with good reason. It’s the story of a middle aged man who is snatched off the street and imprisoned for no apparent reason for 15 years. He is then released and told he has 5 days to find out why this was done to him. This leads to a deliciously twisted tale of revenge, grudges, and an instruction in 101 uses for a hammer. How the film plays out will keep anyone guessing and the finale will make you wish you could unsee the last 90 minutes. Its a modern masterpiece. A remake by Spike Lee is currently in development starring Josh Brolin and Elizabeth Olsen. It’s hard to see how the extremely mental central plot will make it to a big hollywood picture so your best bet is to watch the sublime original. So there you are. Watch these films and I guarantee you’ll want to delve further into South Korean cinema. There’s something for everyone in this small selection. Its just part of an undiscovered world of great cinema, these movies have got Seoul. Sorry. I love A Tale of Two Sisters. I like this post, love Korean movies; however, the use of profainity in your text was a “turn-off” for me. I suppose the use of ‘profanity’ and the acceptability of it all depends on the type of audience the blog caters too. I try to strike a balance between swearing for effect and using milder language but I thought in this case about how I would describe the film in conversation. Thanks for the feedback! I got it mixed up with the Dear John post-it from my ex. Very good beginners guide. When people ask me what would be the movie best to start exploring Asian cinema world, I recommend Oldboy. It is fascinating revenge story and plot twist not found almost in any other film narrative, a plot twist that would make Hitchcock himself envious. I will check out Thirst, it’s the only one I haven’t seen from the list. Wow that’s high praise coming from an expert! Thanks! Yeah Oldboy is such a classic. Its really beautiful. You should definitely watch Thirst for a strange Korean take on the vampire film. Thanks for your comment! Oh shoot. Thanks for the list but I’m a little bit terrified. 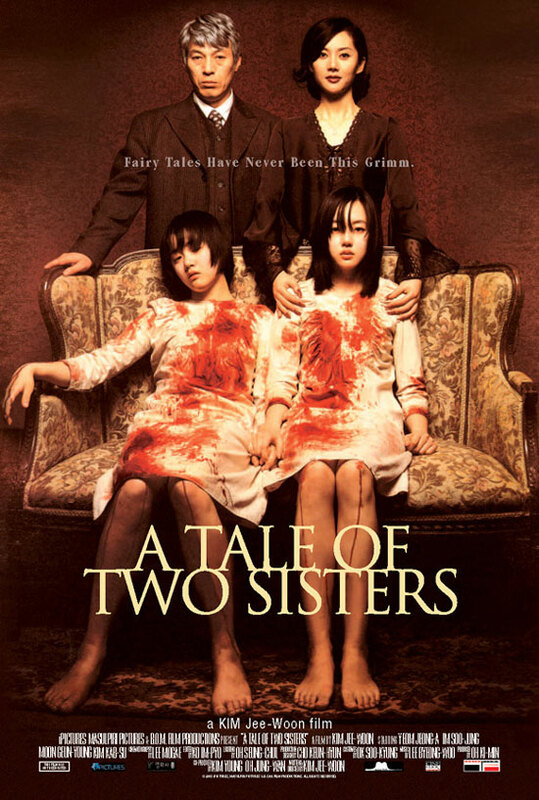 I actually watched a bit of “A Tale of Two Sisters” a few years ago but had to stop maybe 15-20 minutes in because I was petrified. Maybe I could handle it now… we’ll see!